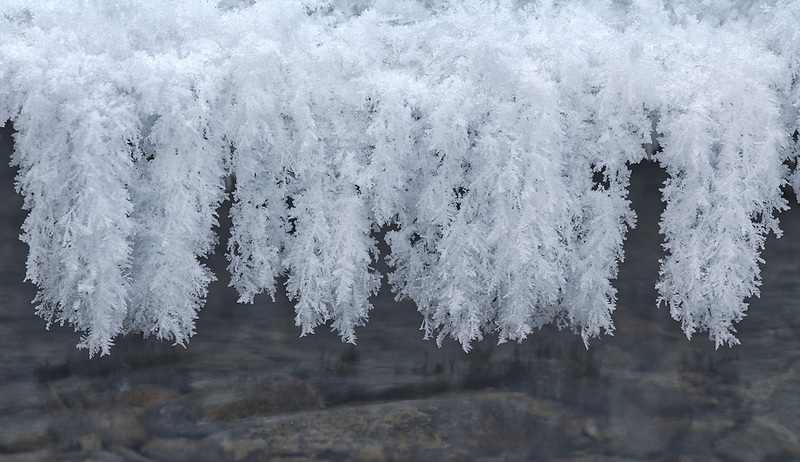 Hoar frost hanging from ice along stream in Southcentral Alaska. Afternoon. Winter.